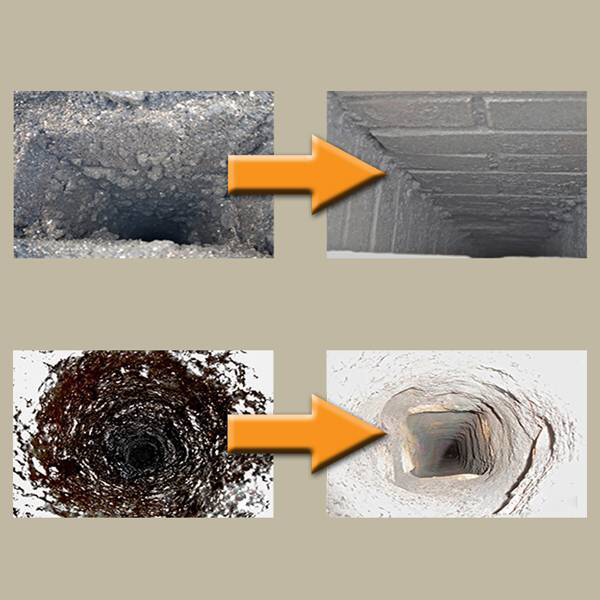 These are some before and after photos of flues cleaned with Rodtech power sweeping equipment. These pictures give you a real insite to the effects soot and tar buildups have on your flue, restricting the air flow and making the buildups worse. The video here shows how a traditional brush, whilst creating great surface tension and causing possible damage, only sweeps the corners of your flue, missing the rest completely. Where as using power sweeping equipment there is no surface tension being created due to the design of the brush head. The brush head expands through centrifugal force to suit the shape of your flue and maintain contact with the entire flue to give you an unbelievable clean. Power sweeping from Rodtech on Vimeo.